Through a series of lively introductions and commentaries, over thirty contributors—men and women, scholars, rabbis, theologians and poets, representing all Jewish denominations—examine the history and ideas behind Yizkor, the Jewish memorial service, and this fascinating chapter in Jewish piety. Featuring the traditional prayers—provided in the original Hebrew and a new and annotated translation—this fourth volume in the Prayers of Awe series explores the profound theological questions at the core of this service and our own humanity: What happens to us after we die? Is there really an afterlife? Does our fate after death depend on the goodness with which we have pursued our earthly life? And more. Planning to pick this up soon. We’re very excited to be hosting Dr. Susanne Luther of Johannes Gutenberg—Universität Mainz for a guest lecture here at St Mary’s University College, Twickenham. You can find a press release here. Dr. Luther’s lecture is entitled “The Ethics of Speech: Answers from the New Testament” and will be October 15 from 5.00pm to 7.00pm in the Waldegrave Drawing Room on St Mary’s campus. The lecture is open to the public, so if you’re in or around London, do stop by. Dr. Luther is currently working on a Habilitation under Prof. Dr. Ruben Zimmermann on historiography and the Fourth Gospel. My students will be lucky to hear from her earlier in the day in my Gospel of John class! I'm very pleased to announce that St Mary's University College is offering a PhD Studentship in NT. This studentship pays tuition at the UK/EU rate and also offers a £13,000 per year bursary. More information is below and at this link. Note that the deadline for applications is pretty soon. Informal enquiries can also be sent to me at chris.keith@smuc.ac.uk. Applications are invited for a fully-funded full-time three-year PhD studentship at St Mary’s University College, Twickenham, London, to begin on 1st January 2014, though the start date is negotiable. The successful candidate will work under the supervision of the Professor of New Testament and Early Christianity, Prof Chris Keith, on a topic addressing any aspect of the social history of early Christianity. Potential topics include, but are not limited to, the Synoptic Gospels, Gospel of John, historical Jesus, scribal culture of early Christianity, social-scientific criticism, social memory theory, the narrativization of violence, and the reception history of New Testament practices and tradition in the first three centuries. The studentship will provide full-time PhD student fees of £4,040 p.a. and a bursary of £13,000 p.a. Applicants should have a good first degree in a relevant discipline, as well as an established knowledge, preferably at MA level, of New Testament studies. Proficiency in Hellenistic (Koine) Greek is required. The successful applicant will also be linked with the work of the Centre for the Social-Scientific Study of the Bible, which aims to establish St Mary’s as an international leader in the application of social-scientific criticism to biblical traditions and texts. Possible roles include aiding in conference organization and limited undergraduate lecturing. For these reasons, it is highly recommended that the successful applicant be located within Greater London area during their studies. Visit the CSSSB webpages for more information about the Centre. This interdisciplinary conference explores the Fourth Gospel in light of ancient Jewish and Greco-Roman literary conventions as well as ancient and modern genre theory. Organizers: Kasper Bro Larsen and the New Testament Studies Research Unit at Aarhus University. The conference is sponsored by the Danish Council for Independent Research (FKK) and the Department of Culture and Society, Aarhus University. For further information, see Call for Papers or contact Kasper Bro Larsen (kbl[at]teo.au.dk). We've got some good news for those of you who like free books. The good folks at Baylor University Press are letting us do at least two series of giveaways. The first one will be on the theme of memory and new approaches to the historical Jesus. We'll be giving away one each of the following: Jens Schroeter, From Jesus to the New Testament; Anthony Le Donne, The Historiographical Jesus; and Werner Kelber and Samuel Byrskog, Jesus in Memory. We know some of you have been keeping track of the role of memory in Jesus studies, and each of these books are key contributors to the discussion. The second series will be on the classics and feature one each of the following: Oscar Cullmann, Peter; Rudolf Bultmann, Theology of the New Testament; and Wilhelm Bousset, Kyrios Christos. Fantastic, right? Baylor has been publishing editions of these classics so we'll have them for you. We'll announce the first giveaway here soon. In the meantime, be getting ready to sign up to follow the blog, post about us on Facebook, and all the other normal means of entering our giveaways. I'm also trying something new this time, and if I were you and wanted one of these books, I'd also be keeping in mind my favorite quotes from Naked Gun, Spies Like Us, Fletch, National Lampoon's Christmas Vacation, Swingers, and Major League. For more along these lines, see my most recent thoughts here. Perusing the blog of my Doktorvater, Larry Hurtado, I came across a discussion that I'd earlier missed back in August. In discussing Reza Aslan's book, the issue of Jesus' literacy came up. I was surprised in the comments (not from Hurtado) to see my own work characterized as "rather dismissive" of the idea that Jesus gained literacy. It's true that I have argued that Jesus did not attain scribal literacy, but I don't think for a second that I'm simply "dismissive." In several studies, I discuss at length the evidence for literate abilities in the time of Jesus and the various abilities that "literacy" entailed. I could be wrong in my conclusions, of course, but to my knowledge I've given the topic more detailed attention than anyone else. I was thus also surprised to see another commenter (also not Hurtado) claim that Mark 6 implies that Jesus read in a synagogue (just as Luke 4 states it explicitly) and that critics of that idea aren't right just because they "scoff confidently." This commenter, a certain "squeaky2," doesn't name me, but it seems that his comment is aimed at me. I can only say in response that I don't think I've ever "scoffed confidently" at this idea. I've argued it at length in light of all the early Christian evidence (of which I'm aware) and the sea of studies of ancient literacy. I can also only disagree entirely with his assessment of Mark 6 and note that it doesn't account for the fact that Jesus is rejected as a synagogue teacher in Mark 6. There's no mention of him reading in this text, whereas Luke does attribute public reading to him and has him rejected for a reason altogether unrelated to his class (Luke, in fact, identifies him as Joseph's son with no reference to carpentry). I've argued in my Jesus' Literacy that Mark and Luke here have a different assessment of Jesus' social class, a difference that shows up throughout their respective Gospels and particularly in places where Luke modifies Mark. If Jesus Christ were to come today people would not even crucify him. They would ask him to dinner, and hear what he has to say, and make fun of it. Christians are (and have been for some time) in the business of self-crucifying. Indeed, we are at our best (and perhaps that's not saying much) when we find our identity in cruciformity. We are at our worst when we attempt to stand above culture and condemn it. We can find both elements of "Christlike-ness" in the NT. To my mind, only one of these is worthwhile. Given that we (Xns) are in the business of self-crucifying, we have a tendency to identify as the religious establishment. We are analogous (so the story goes) with the Pharisees and Temple establishment and Roman persecutors. Indeed, the caricatures that we've created for these historical figures are projections of our worst selves. By identifying with these caricatures, we find ourselves in need of healing, condemnation, etc. I think that there might be virtue, for example, for American Christians to realize that we look much more like Rome than the society Jesus hopes for when he preaches the Sermon on the Mount. The lamentable byproduct of these caricatures is that we Xns have sinned against the historical figures represented by these narratives. Rome becomes an anti-Christ (when we know it was more complicated than this) and "the Jews" become unfeeling elitists who resist grace (when we know that this isn't true). In short, by writing ourselves into the NT as the "unbelieving" and "hard hearted", we Christians have unwittingly created ancient Judaism in our own images. This is not to forget that we Xns have historically condemned Judaism on other grounds. I only speak from my experience as character within the narratives of my generation. Ken Berry, Come on Down! Thanks to all of you who helped us promote Dale C. Allison Jr.'s new commentary on the Epistle of James (ICC). Another reminder: the Jewish-Christian Dialogue and Sacred Texts consultation is co-hosting a panel review of this book in Baltimore (Monday, Nov. 25, 4pm). Ken, comment here with your email address to claim your book (your comment will not be published). Our thanks to the people at T&T Clark who sponsored this giveaway and to Dale for his groundbreaking commentary on James. The Oldest Manuscript Title of Matthew's Gospel? A few others have pointed to this very interesting summary of Simon Gathercole's Novum Testamentum essay titled "The Earliest Manuscript Title of Matthew's Gospel (BnF Suppl. gr. 1120 ii 3/P4)". Really fine work. My thanks to Brice C. Jones for being his ever-erudite self. If you haven't yet read the blog of Michael Jinkins, President of Louisville Presbyterian Theological Seminary, do yourself a favor and read this post entitled "Why Tenure Matters." Needless to say, this one hits too close to home for too many of us. I appreciate a lot of what he has to say, but I want to highlight something he points out about the work of William Robertson Smith. The bit of his writing that was oh-so-controversial and warranted, in his context, removal from his professorial chair, is completely commonplace today and non-controversial. The church tradition I came from essentially ruptured over German Protestant theological liberalism. When I read or hear about those battles today, I come close to laughing at how non-controversial the issues are now. Too often in theological controversies, at stake is not the text itself or even the God to whom it points, but rather the familiar forms of the discussion about both of those entities that have become enshrined in a community. I still consider myself a novice in the blogging world. I've only been at this for a year or so and I can barely keep up with the blogs of my close friends, much less the truly important blogs in the world. But here is a serious question: is there such a thing as a "truly important blog"? I've read blogs with truly important content. And I wouldn't hesitate to call a handful of books "truly important". Even so, I'm reluctant to think of the medium of blogging in this way. Sometimes I think of blog posts along the lines of pamphlets. How many "truly important" pamphlets are there? Without a doubt, there are exceptions. Moreover, there is a history of religious tracts for the purpose of grassroots religiosity. Is the pamphlet our best historical analog? One is tempted to simply point to the inevitability of technological progress: from walls to tablets to scrolls to books to ebooks... But where do blogs fit into this paradigm? Are they more like graffiti? After all, the graffiti can be as simple as tagging and as complex as political art. We do use "wall" language quite a bit thanks to Facebook. This analog at least allows us to pretend that we're doing something important-ish. Although, I've often wondered if we aren't just marking territory. Are there better historical analogs along these lines? I just had a copy of When God Spoke Greek: The Septuagint and the Making of the Christian Bible (Oxford University Press) by T. Michael Law land on my desk. Most of you will know Dr. Law from his unbelievable Marginalia website or incessant quoting of rappers on Facebook. I’m looking forward to reading this book. Readers of this blog may think Septuagint studies relate very little to Jesus studies, but they would be wrong. In some places, Jesus’ citations of the Hebrew Bible/Old Testament look like he’s quoting from the LXX. In other places, it looks like he knows the MT. I’ll be interested to see if/how Dr. Law addresses these matters. 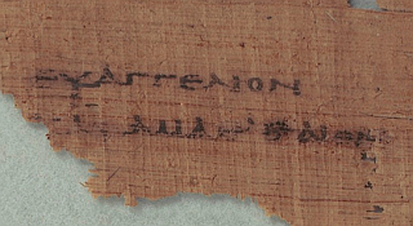 The back of the cover reads: “Many of the Hebrew scriptures were still evolving when they were translated into Greek, and these Greek translations, along with several new Greek writings, became Holy Scripture in the early Church.” In short, Law here offers a full account of the fact that, for the vast majority of the earliest Christians, the LXX was their OT, not the Hebrew texts upon which modern Bible translations are based. "The more you focus on something — whether that's math or auto racing or football or God — the more that becomes your reality, the more it becomes written into the neural connections of your brain." ICC James (Dale C. Allison Jr.) Book Giveaway! THIS GIVEAWAY IS NOW CLOSED. 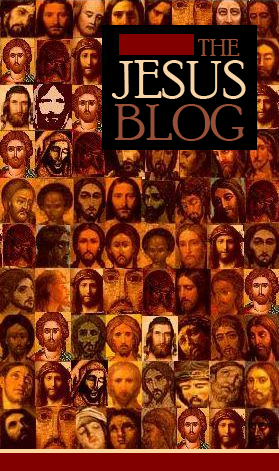 1) Sign up to follow The Jesus Blog (and comment saying that you did). 2) Post a link to The Jesus Blog on Facebook (and comment saying that you did). 3) Sign up to follow via Twitter @TheJesusBlog1 (and comment saying that you did). 4) Visit http://tandtclark.typepad.com/ (and comment below saying that you did). 5) Sign up to follow the T&T Clark twitter feed @tandttclark (and comment saying that you did). 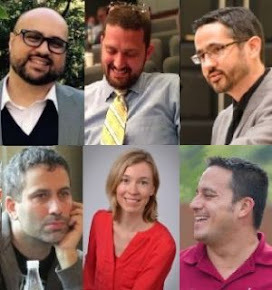 6) Commit to attending the panel review dedicated to this commentary hosted by the Jewish-Christian Dialogue and Sacred Texts consultation in Baltimore (11/25/2013; 4:00PM; Room: Peale A - Hilton)... and write your bald-faced lie in the comments below. *If the winner ends up being from outside the United States, I might ask for a small shipping fee because this book is mammoth. Yesterday I found out that Baylor University Press has now released Jens Schröter’s From Jesus to the New Testament, the English translation of his Von Jesus zum Neuen Testament. Wayne Coppins has translated it, and I for one am incredibly grateful. 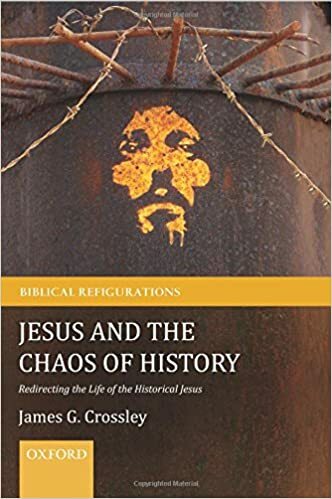 In a two-part status quaestionis essay that I currently have under consideration for publication, I have identified Jens as the lead voice in the new historiography in Jesus studies, a shift of methodology in historical Jesus research to which memory studies contributes heavily. The fountainhead of this is Jens’s mammoth Erinnerung an Jesu Worte, but Von Jesus zum Neuen Testament collected a lot of his important essays. It’s fantastic to have them in English now. I interviewed Dr. Crossley a few months back in five parts: here, here, here, here, and here. Over at Judy’s research blog, Judy Redman offers some comments on my monograph, Jesus’ Literacy. She provides some examples from her own life where her literacy in a given language is open to various perceptions, sometimes giving the impression that she has more literate ability than she actually has. What I appreciate especially about her comments is that they illustrate perfectly one of the main points of the book—the context in which one judged literate abilities played a role. This is a crazy idea I have sometimes: even if we want to be thoroughly postmodern and imagine that there is no actual past, the project of history may depend either on our belief (or on someone else's belief) in the myth of an actual past. So even if we think of history as commemoration, I'm not sure that the commemoration can function unless the commemorators think that they're commemorating SOMETHING outside of the commemoration ... even if we theorists believe that the commemoration IS the thing worthy of focus. Same thing for memory: I don't know how memory works if we don't think that we've remembered SOMETHING that exists or existed outside of memory. If we reduce the "actual past" to stimuli that produces memory and provokes us to commemorate, where are we, exactly? Have we taken history and turned it into something like a behavior? A quick reply: Nobody that I know of doubts that the past existed (although Bertrand Russell once wondered if an evil deity might have created the universe two seconds ago complete with false memories – that’s a fun one). The key question here is access to the “actual past”. I have argued that we have access only through present cognition. In memory we perceive the impact of the past upon the present. Like I've said elsewhere, it is the perceived continuity with previous states of cognition that provides the feel of reliable memory. So if we must be forced into theories of correspondence (i.e. you remember A, but I would argue that B really happened. Therefore your memory does not correspond to the reality of the past), we are attempting to measure the inherited memory against the other variables of historical data available. This is an attempt to reframe the memory/commemoration by drawing other networks of data into the sphere of memory. Thus, in this sense, that which is not remembered cannot be history. Ironically, it is in the push to find out "what actually happened" that we most refract the past. Finally, "what actually happened" (assuming that we think we have access to this) was a memory event from the start. It was a collision of mnemonic categories, intentions, perceptions, social forces, etc that organized the raw "stuff" into something that might be perceived as "an event". So I say again: historians ought to be elbow deep in the study of memory (how it works, how it refracts, how it obscures, etc), not trying to sweep away the mnemonic obstacles in an attempt to get at something that is unfiltered. This does not mean that we naively accept what the traditional commemorations teach us. It does mean that our alternative versions of the past must provide a more compelling story of how the various elements of the commemoration came to be. How important is publication at the master's level? I have a few colleagues that are worried about it. Is that something I should pursue? I don't always turn my emails into blog posts. But when I do. I ask permission first. A bit of background: My friend is entering a top U.S. program with interest in New Testament studies. I assume that his question stems from conversations he's had with his peers, meaning other MA-level students. I have a few thoughts on this and they're not all pushing in the same direction. I'll try to argue in the affirmative first and then in the negative. This order should tell you where I'll probably lean in the end. Last week was the annual British New Testament Conference. Last year I attended one day of the conference, having just moved to London from the USA. This year, though, I managed to get talked into doing three things. The first was the panel review of Francis Watson’s Gospel Writing in the Jesus and Gospels seminar. The scope of this book is breathtaking and I think all the panel members (me, Paul Foster, and Simon Gathercole) were impressed with how much work went into it. There were, however, disagreements and critical questions. We all raised questions about Watson’s argument that, although the Gospel of Thomas is often dependent upon the Synoptics in content, its genre represents a pre-Synoptics form of the Jesus tradition, a sayings collection. I think the arguments of Gathercole and Goodacre make this unlikely. On the positive side, I think this book stands as one of the most comprehensive applications of a Wirkungsgeschichte approach to early Christianity. The second responsibility for me was a 45-minute lecture to the Social Worlds of the New Testament seminar, which they kindly invited. My title was “Social Memory Theory and the Gospels: The Past, Present, and Future of a New Methodology.” My eyes got a bit bigger than my belly, though, and I was really only able to address the past and present. My basic argument was that many applications of memory theory in Gospels research today seem unfamiliar with the work of Maurice Halbwachs, Jan Assmann, and Barry Schwartz, who make up the triumvirate that has shaped the discourse. As a result, some applications of the theory in Gospels research are out of step with those methodological foundations. I’ll take up this issue more fully in my inaugural lecture here at St Mary’s University College on October 16, “Social Memory Theory and Gospels Research: Assessing the First Decade.” I’m grateful to the Social Worlds session for the opportunity to get some early feedback on some of my thoughts. The third responsibility I had was another panel discussion. This was again in the Social Worlds seminar. The co-panelists were James Crossley and David Horrell and our topic was “Social-Scientific Criticism as Social History,” but it mainly turned into a “Where do we go from here?” discussion. Horrell interestingly proposed that the term “social-scientific criticism” may not be needed anymore, as the goals of the scholars who introduced the term have largely been realized as social-scientific emphases have gone mainstream in NT scholarship. On a side note, the weather was amazing in St Andrews, as it was for the International SBL a couple months ago. As someone who lived in Scotland for three years, I felt almost robbed of the experience of fist-fighting a wind and rain storm. Christopher Skinner's blog revisits our old friend William Wrede. I'm curious to see what sort of comments follow as this topic continues to fascinate me. Larry Behrendt's latest engagement with "problem texts" is well worth a read. 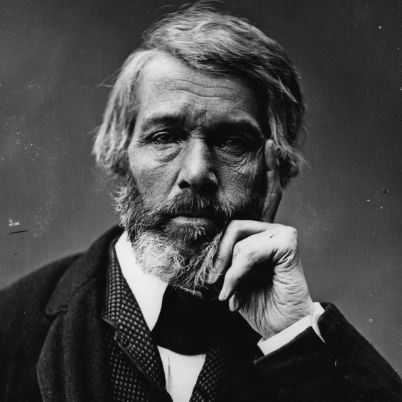 Therein he leans heavily on Krister Stendahl's distinction between what the text meant and the text's multiplicity of contemporary meaning. Anthony and I have both spent considerable effort in trying to articulate what, in our opinions, memory theory can and cannot bring to the historical Jesus table. We have done this in monographs, articles, and even here on this blog. In several personal conversations (admittedly sometimes with people whose passion exceeded their knowledge) I have been accused of being too far to the left (“Oh! Everything’s ‘interpretation, interpretation’! So there’s no history?”) and too far to the right (“Are you actually saying that you think we can know something about what really happened?”). I’m sure Anthony’s had his own version of these conversations, as have many others. At the core of these conversations is a disagreement over what constitutes “history” and thus the proper goal of historical work. Everyone brings their own thoughts about these matters to the conversation, and I think that even Anthony and I would have some disagreements in the midst of substantial agreements. Okay, I know we would—we absolutely go round and round over where one should stop in speculation about the past. I think he’d agree with me, however, that Ruben Zimmermann has possibly provided the sound bite for what I have called the “new historiography” in Jesus studies. Go forth and spread the good news. “Now there is a final reason I think that Jesus says, "Love your enemies." It is this: that love has within it a redemptive power. And there is a power there that eventually transforms individuals. Just keep being friendly to that person. Just keep loving them, and they can’t stand it too long. Oh, they react in many ways in the beginning. They react with guilt feelings, and sometimes they’ll hate you a little more at that transition period, but just keep loving them. And by the power of your love they will break down under the load. That’s love, you see. It is redemptive, and this is why Jesus says love. There’s something about love that builds up and is creative. There is something about hate that tears down and is destructive. So love your enemies." James Crossley (PhD, Nottingham) is Professor of Bible, Society, and Politics at St. Mary's University, Twickenham, London. In addition to most things historical Jesus, his interests typically concern Jewish law and the Gospels, the social history of biblical scholarship, and the reception of the Bible in contemporary politics and culture. He is co-executive editor of the Journal for the Study of the Historical Jesus. Christine Jacobi studied protestant theology and art history in Berlin and Heidelberg. She is research associate at the chair of exegesis and theology of the New Testament and apocryphal writings. She completed her dissertation at the Humboldt-University of Berlin in 2014. She is the author of Jesusüberlieferung bei Paulus? Analogien zwischen den echten Paulusbriefen und den synoptischen Evangelien (BZNW 213), Berlin: de Gruyter 2015. Christine Jacobi is a member of the „August-Boeckh-Antikezentrum“ and the „Berliner Arbeitskreis für koptisch-gnostische Schriften“. Chris Keith (PhD, Edinburgh) is Professor of New Testament and Early Christianity and Director of the Centre for the Social-Scientific Study of the Bible at St. Mary’s University, Twickenham, London. Anthony Le Donne (PhD, Durham) is Associate Professor of New Testament at United Theological Seminary. He is the author/editor of seven books. He is the co-founder of the Jewish-Christian Dialogue and Sacred Texts Consultation and the co-executive editor of the Journal for the Study of the Historical Jesus. Brant Pitre (PhD, University of Notre Dame) is Professor of Sacred Scripture at Notre Dame Seminary in New Orleans. Among other works, he is the author of Jesus, the Tribulation, and the End of the Exile (Mohr-Siebeck/Baker Academic, 2005), and Jesus and the Last Supper (Eerdmans, 2015). He is particularly interested in the relationship between Jesus, Second Temple Judaism, and Christian origins. Rafael Rodríguez (PhD, Sheffield) is Professor of New Testament at Johnson University. He has published a number of books and essays on social memory theory, oral tradition, the Jesus tradition, and the historical Jesus, as well as on Paul and Pauline tradition. He also serves as co-chair of the Bible in Ancient and Modern Media section of the Society of Biblical Literature.